Law school teaches students to think like lawyers. As a result of this training, students can write more precisely, analyze more rigorously and advocate more persuasively. At its essence, legal writing is one of the most important things lawyers do; it is about effective communication. On a daily basis, an attorney might communicate with a fellow attorney, a client, a judge or a panel of judges, or the public. The University of Houston Law Center is committed to providing students with the tools they need to be successful communicators through a required, two-semester course on Lawyering Skills and Strategies. In the fall semester, students learn essential legal research, analysis, and communica­tion skills and practice writing legal memoranda, professional emails, and client letters. In the spring semester, students learn persuasive writing techniques, are introduced to contract drafting, and practice writing various motions and contract provisions, all while broadening their legal research skills. Small class sizes allow students to receive individualized feedback on a regular basis from one of eight full-time clinical professors. These professors bring extensive legal experience and knowledge into the classroom and are actively involved with the Legal Writing Institute, the Association of Legal Writing Directors, and the Association of American Law Schools. 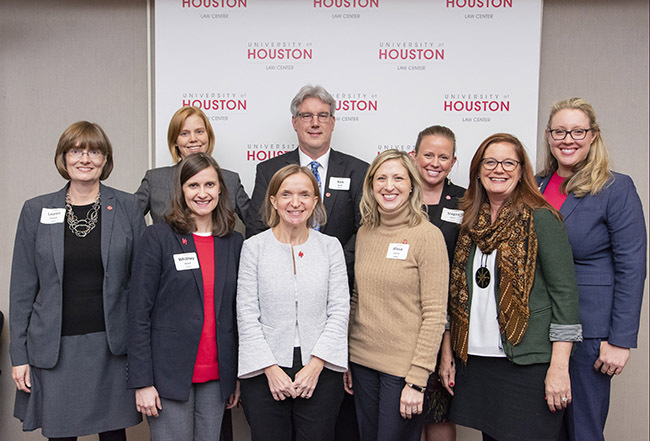 The Law Center's Lawyering Skills and Strategies faculty is committed to enhancing the University of Houston Law Center's reputation in the legal community in the nation and around the world, for developing highly-trained and practice-ready attorneys. We aim to create one of the nation's top legal writing programs. Over the past four years, the Law Center has hired six new Lawyering Skills and Strategies professors. They are excellent!